This past Sunday saw the “Arroz de Matanza World Championship” in San Antonio where 40 teams competed to impress the judges with their version of one of Ibiza’s most famous traditional rice dishes. 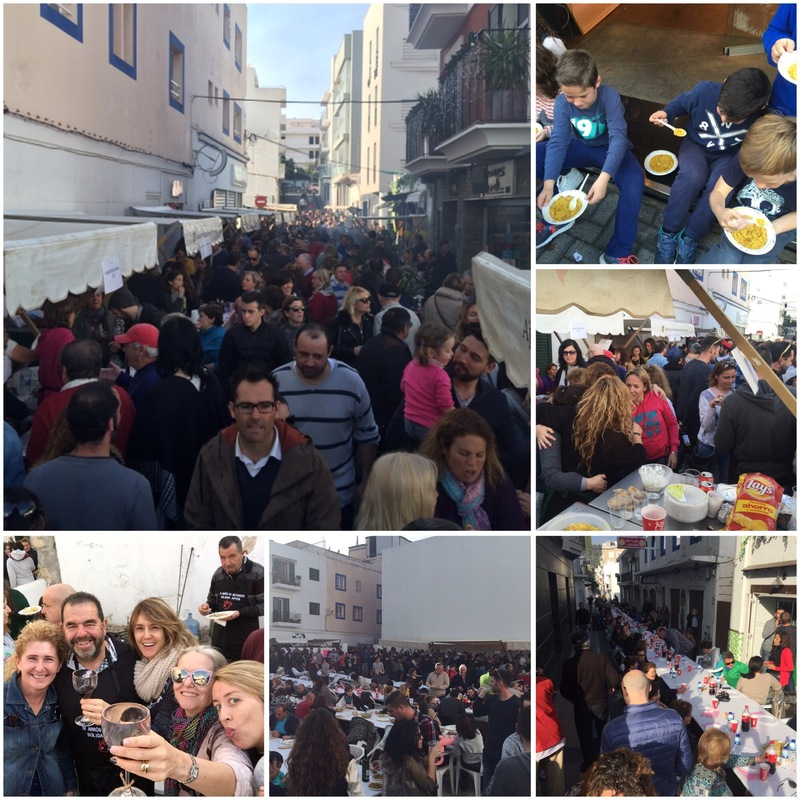 Cati Ribas of Sant Gertrudis Driving School won for the 3rd consecutive year in what was a fantastic festival of food and drink that was enjoyed by over 2000 people eating and drinking to their hearts content. In celebration of Ibiza’s fine food tradition here’s 10 local delicacies that originated on the island using local produce and which still continue to this day. The main pickings from the “matanza” (slaughter of the family pig- see arroz de matanza) sobrasada is made from the lean meat of the pig and some belly pork, all minced and mixed with paprika, salt and spices. 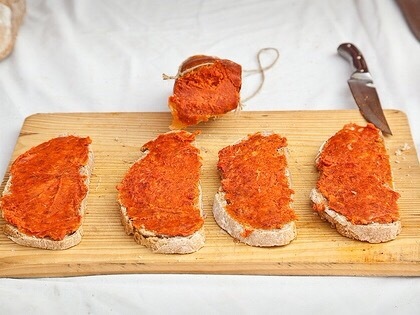 It’s heavy and hearty and is quite delicious as a starter or snack on warm toasted bread. 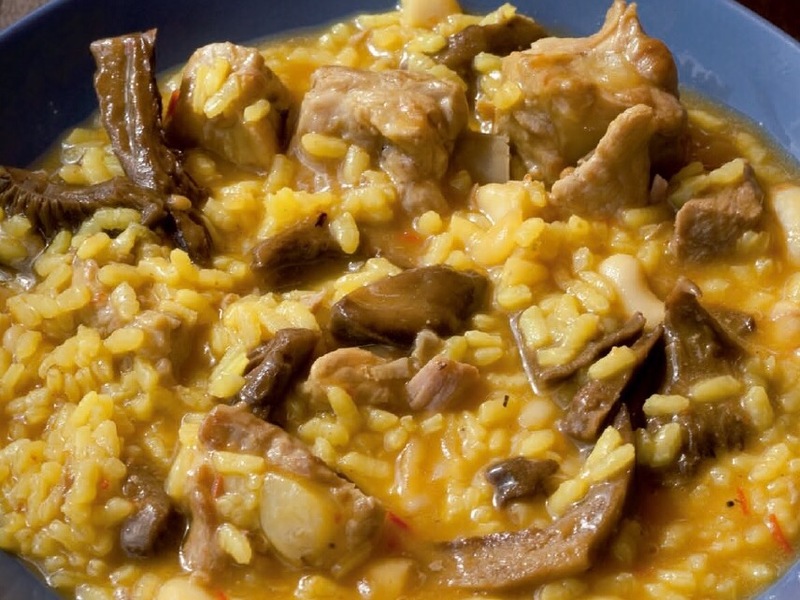 Arroz de Matanza is one of the most distinctive, rich and tasty dishes from Ibiza’s gastronomic history. Mixing rice with pork and herbs in a rich sauce it was usually eaten only once a year using the leftovers from the ‘matanza’ (when Ibicencan families traditionally slaughtered their pig in December to give them enough sustenance for the cold winter months, one large pig would give out enough food for a family to survive). 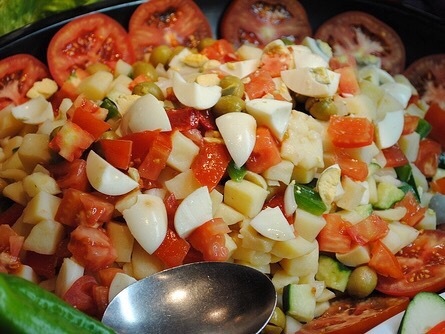 Now this typical dish is served daily in many restaurants on the island. Veggies look away now! A delicious dish using lamb, chicken, pork, sobrasada and potatoes prepared in a large skillet with spices and garlic. Recipes change from family to family but it’s a great comfort food and hangover cure but don’t count the calories as it’s not exactly your 5 a day. One plate is usually more than enough. Guilty pleasure! 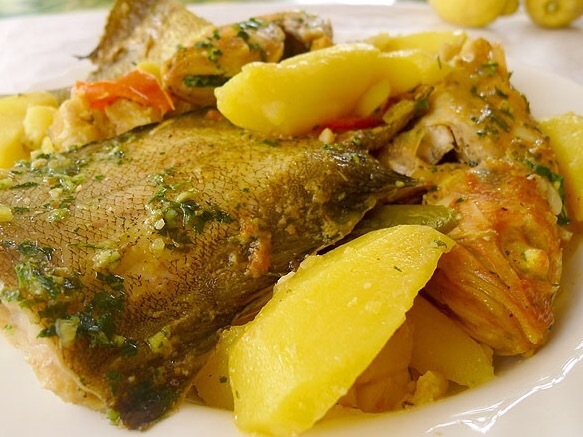 The definitive Ibiza dish for fish lovers carefully prepared using different types of fresh catch in a stock. Part soup, part casserole, part stew depending on your viewpoint but always amazingly tasty. 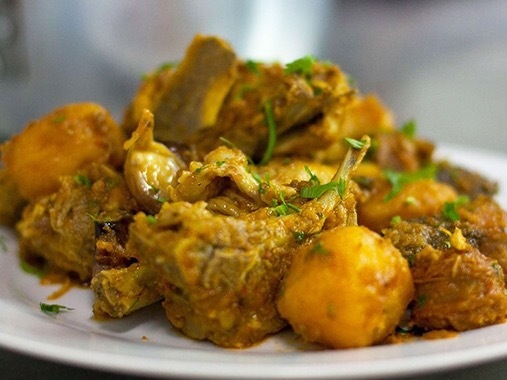 This is a delicacy nowadays and prices can be high but if you are a foodie then this dish really needs to be tried to be believed. 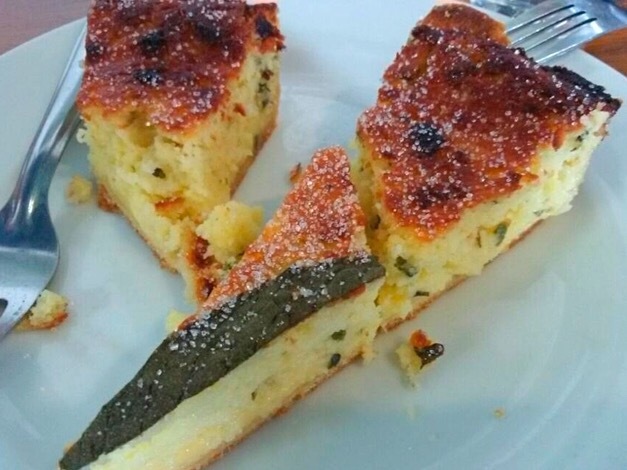 The definitive traditional Ibiza dessert with its distinctive flavour and soft texture made with eggs, fresh cheese (or cottage cheese), aniseed and mint leaves. Eaten as a dessert or an indulging mid-morning accompaniment with your tea or coffee. These biscuit type sweets are named after their shape that resembles an ear. 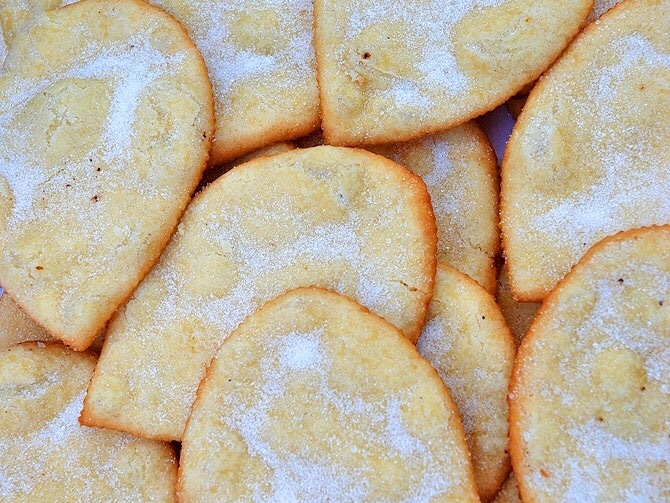 Made with flour, lemon zest and aniseed, fried in oil and dipped in lots sugar (who needs a diet anyway!). Traditionally made for Easter but now easy to find throughout the year. 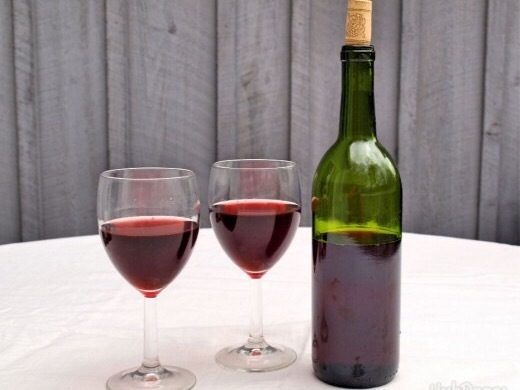 Eaten as a dessert or snack and usually accompanied by a glass of sweet wine or herbias. 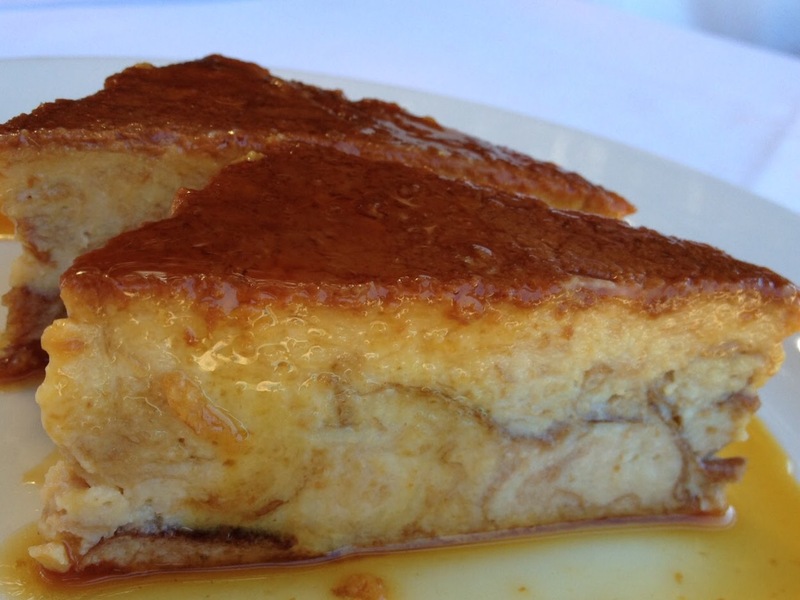 Ibiza’s version of good old bread and butter pudding which is made from leftover ensaimadas (a local sweet bread). Normally served as the desert on a local ‘menu del dia”. Heavy and hearty and the perfect precursor to an afternoon siesta. You are in Spain after all. The islands’s take on your dads homebrew originally made for the long winter months as an accompaniment for the matanza on the cold winter nights. Homemade dark red wine made with grapes crushed by the feet of the local younger generation. Add gaseosa (lemonade) for a fruity cocktail that ‘gets the job done’. A true marmite of liqueurs, very sweet tasting, you’re gonna either love it or hate it! 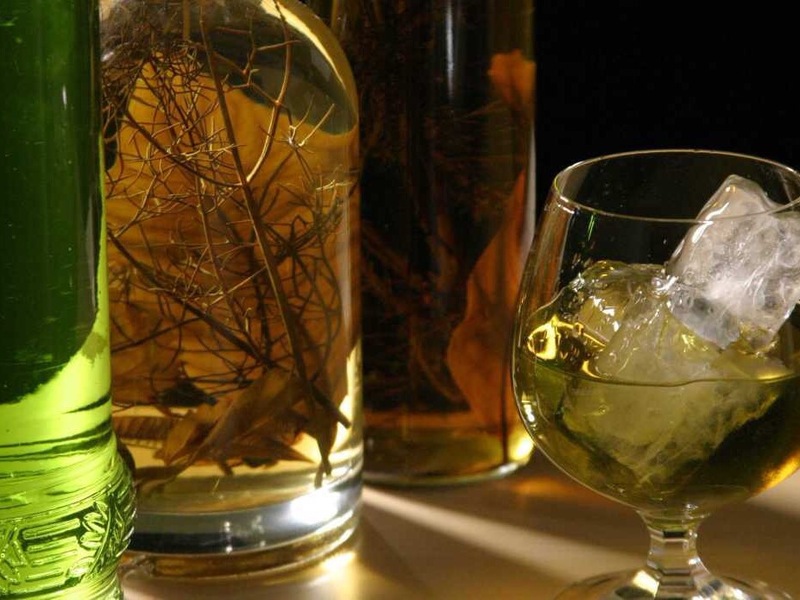 Made and produced in Ibiza by local distilleries using herbs from the island. If/when you get the taste it will become part of your Ibiza culinary experience with most restaurants offering you a shot of hierbas on the house at the end of your meal. So not only is the white isle blessed with amazing beaches and scenery, over 300 days of sunshine every year and a world famous nightlife scene it also has some of the best family restaurants in the Med.